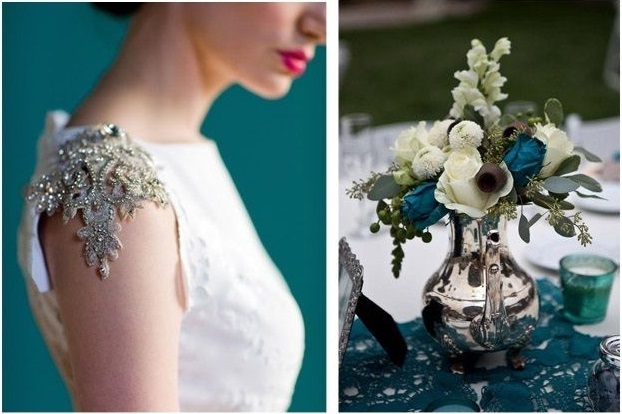 Deep teal paired with vintage silver would make a beautiful colour scheme for a gorgeous wintry wedding. 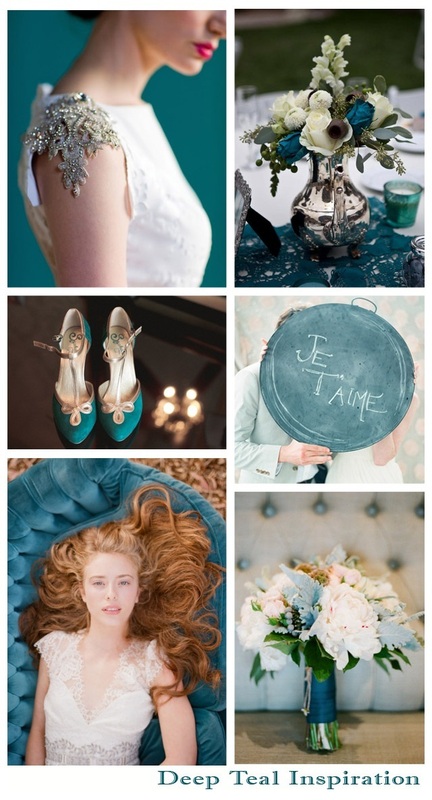 To turn deep teal into a more rusticy hue, you could use more earthy type materials. 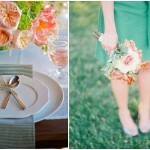 Imagine this colour scheme in a barn type setting with lots of long wooden table and pretty fairy lights. 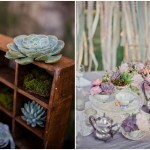 Loved that you featured our Tea pot floral arrangement in the mix from Flour LA. I loved that wedding.